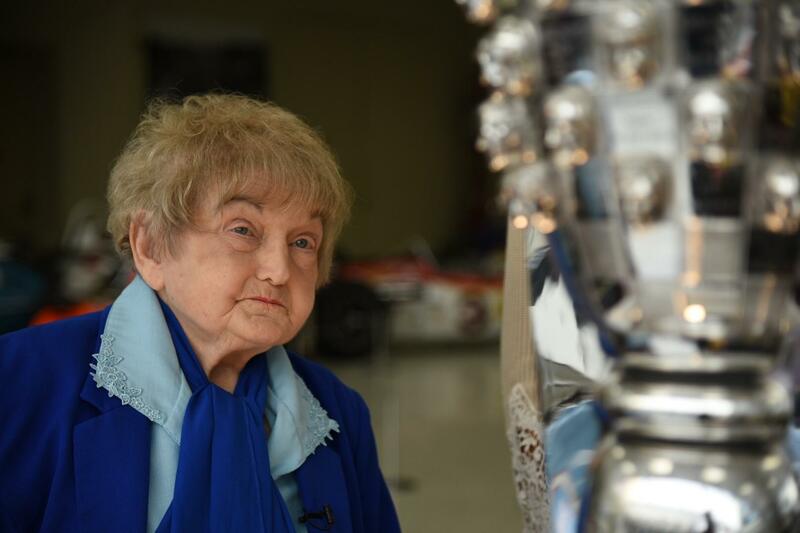 Eva Kor admires the Borg Warner Trophy at the Indianapolis Motor Speedway Museum. 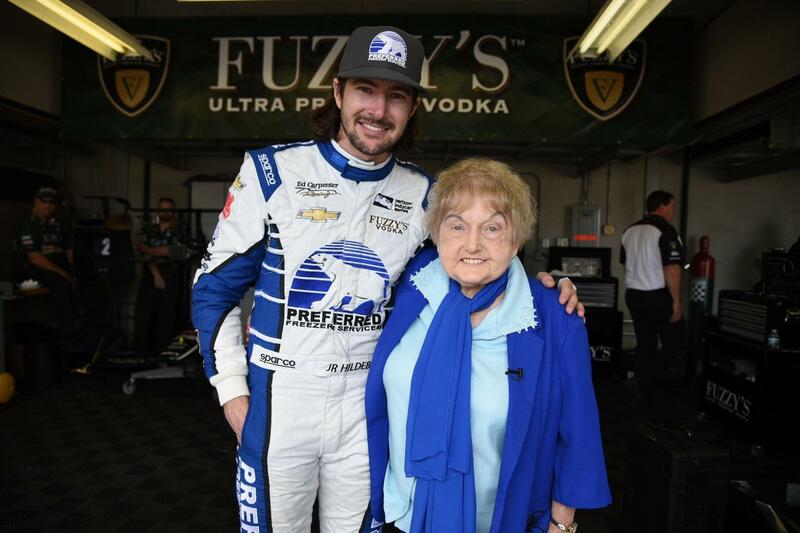 Eva with driver J.R. Hildebrand in the garage area of the Motor Speedway. 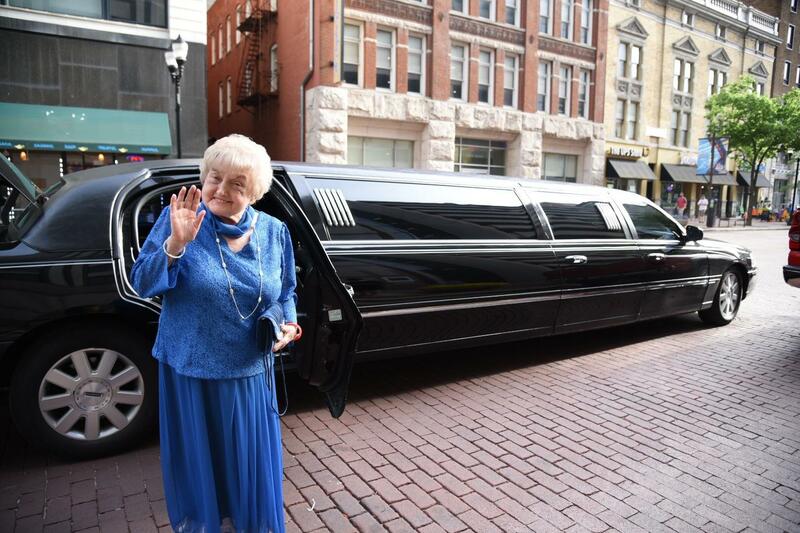 The lady in blue with her very own stretch limo upon arrival at the Snakepit Ball. 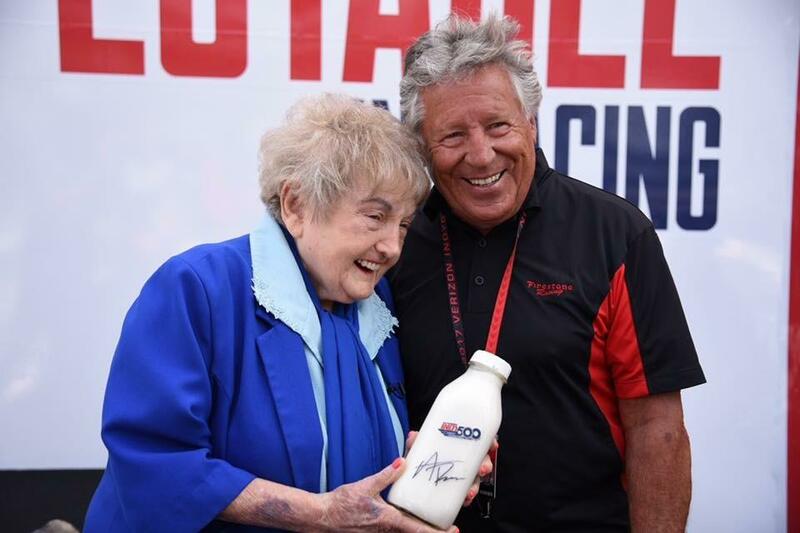 Racing legend Mario Andretti presents Eva with a limited edition 101st Running milk bottle. 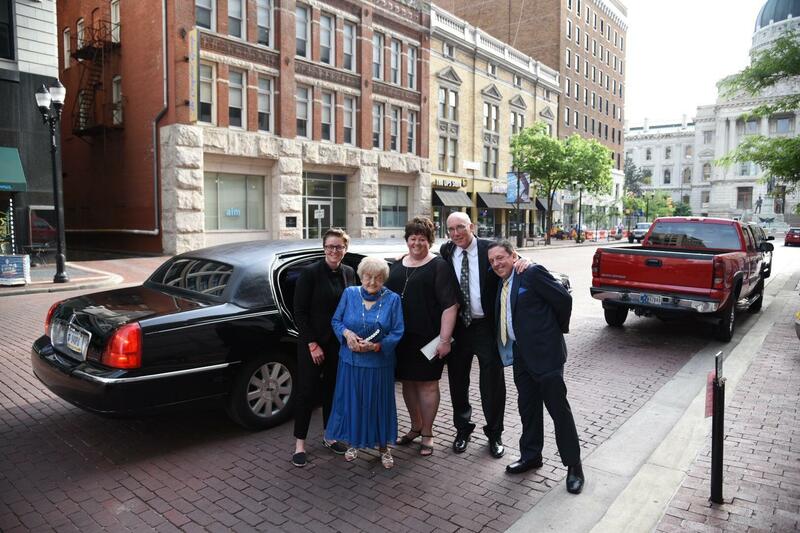 (From left) Mika Brown, Eva, Beth Nairn, Ted Green and Eva’s son Alex gather for a quick group shot before heading into the Snakepit Ball. 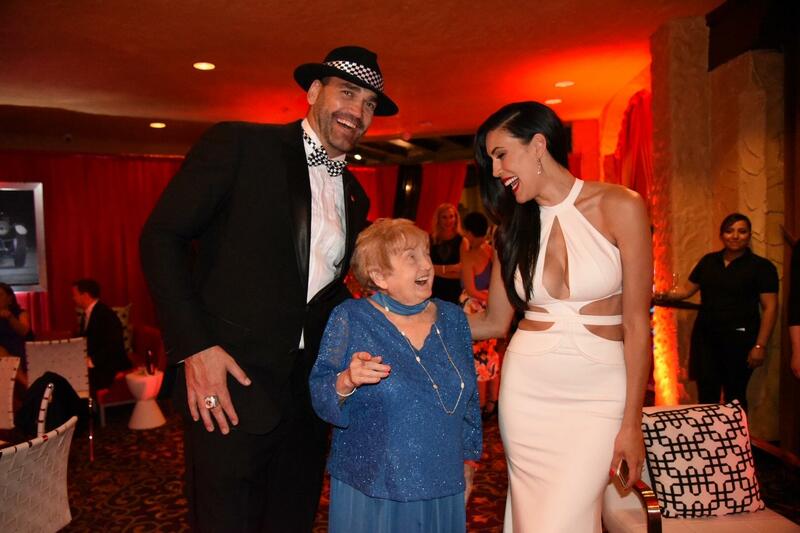 Former Indiana Pacer Scot Pollard and his wife, Dawn, enjoy a conversation with Eva at the Snakepit Ball. Former ABA Indiana Pacer Darnell “Dr. 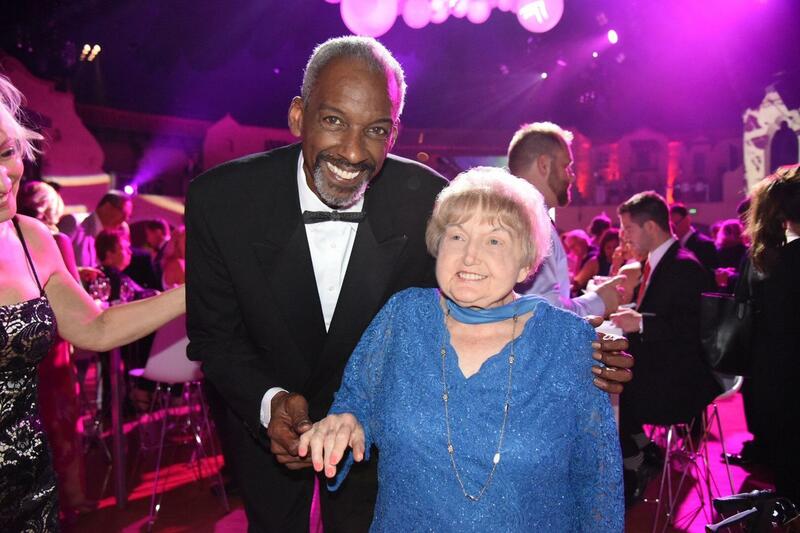 Dunk” Hillman drops down for a visit at the Snakepit Ball. 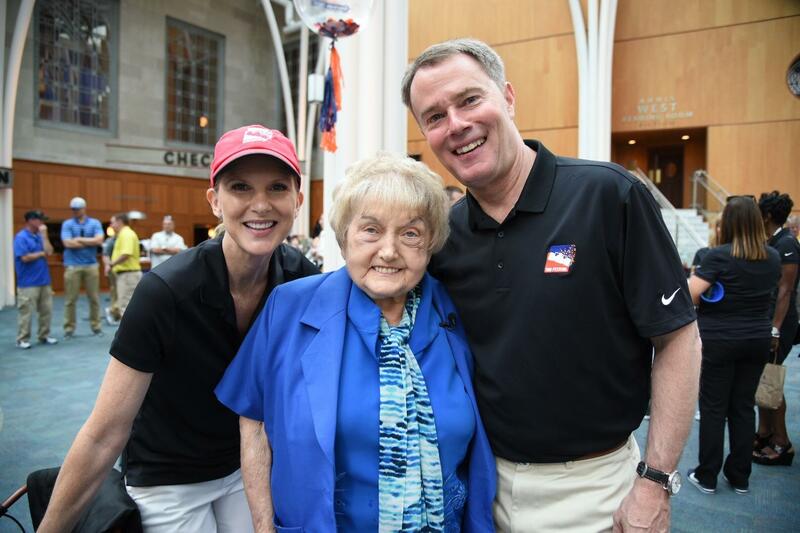 Indianapolis Mayor Joe Hogsett and his wife, Stephanie, pose with the Grand Marshal before the 500 Festival Parade. 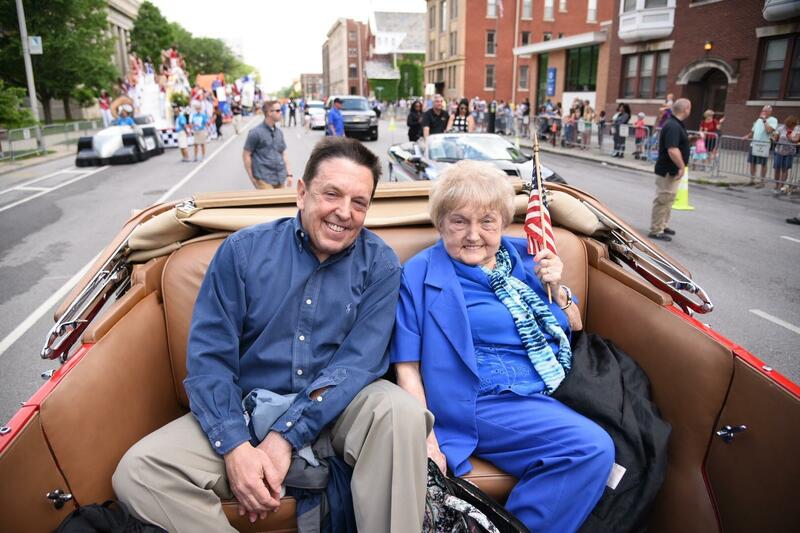 Grand Marshal Eva and her son Alex wait to get rolling at the 500 Festival Parade. 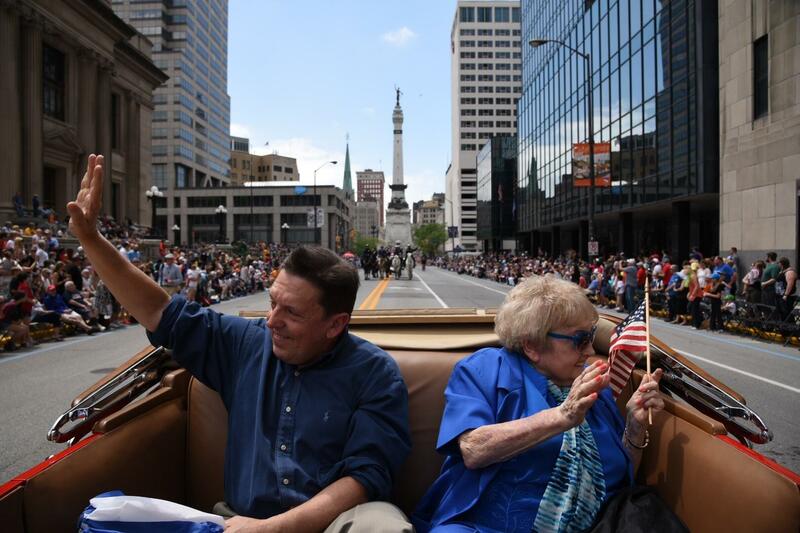 Eva and her son Alex wave to the 500 Festival Parade crowd. 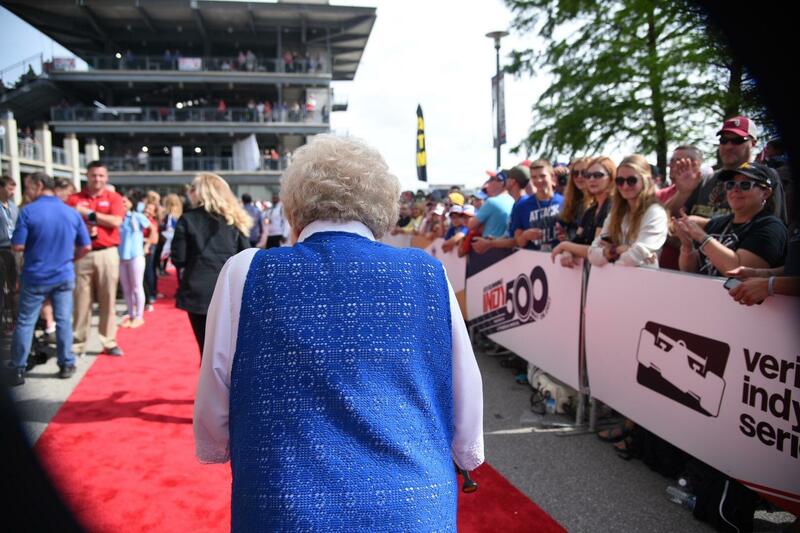 Eva does the red carpet before the 101st running of the Indianapolis 500. 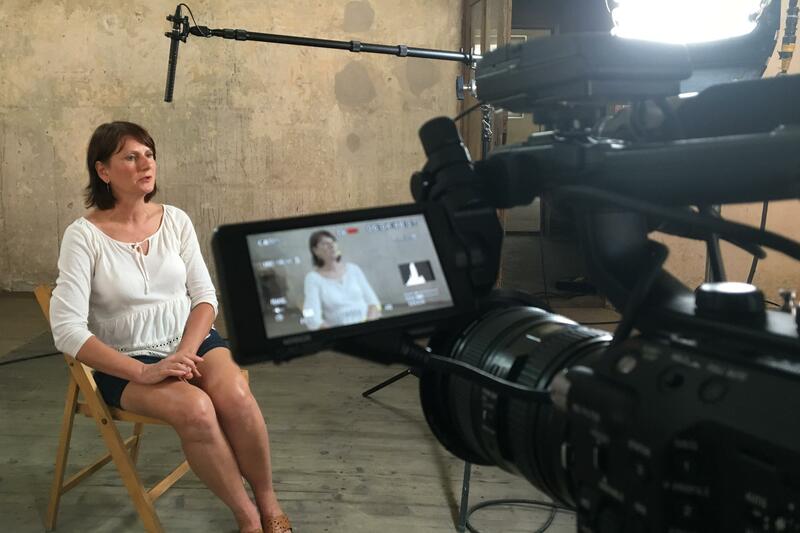 Hamming it up for the local media. 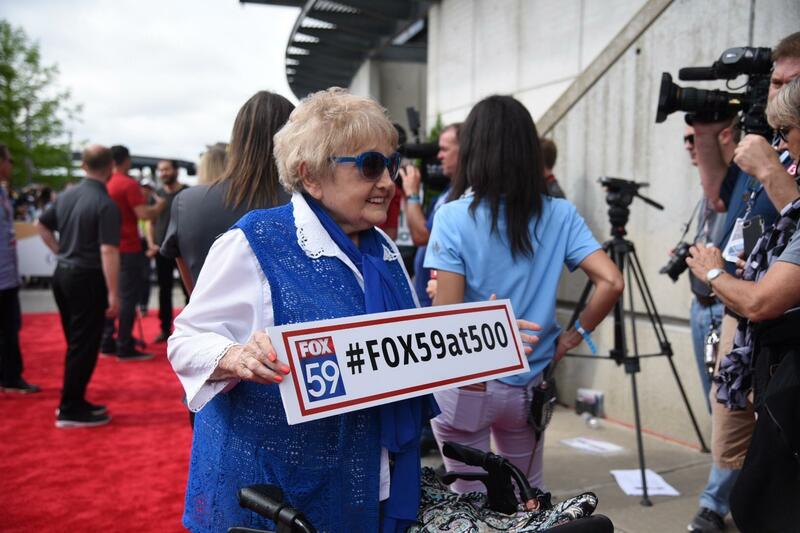 Hollywood actor Jake Gyllenhaal and Boston Marathon bombing survivor Jeff Bauman greet Eva before the start of the 101st Indianapolis 500. A blast with the belle of the biggest ball in town! 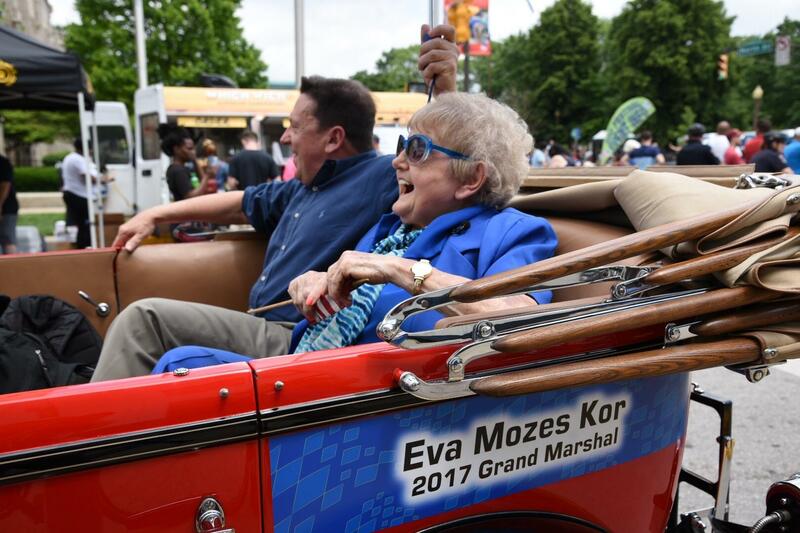 Eva wowed all the celebs before taking her spot as Grand Marshal of the 500 Festival Parade, and laughed it off like a champ when the Studebaker went kaput and she was rescued by a golf cart. On to the Snakepit Ball, where Eva got down with former Pacer Scot Pollard and befriended the REM bassist and Pictionary inventor, and saved the best for last. A last-second ride snafu on race day necessitated commandeering a beer cart (thanks, other Ted!) 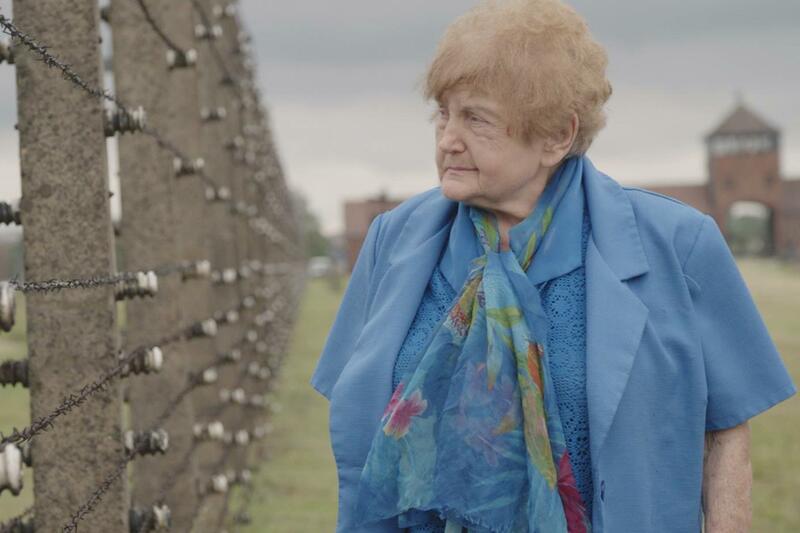 to get Eva to the red carpet on time. 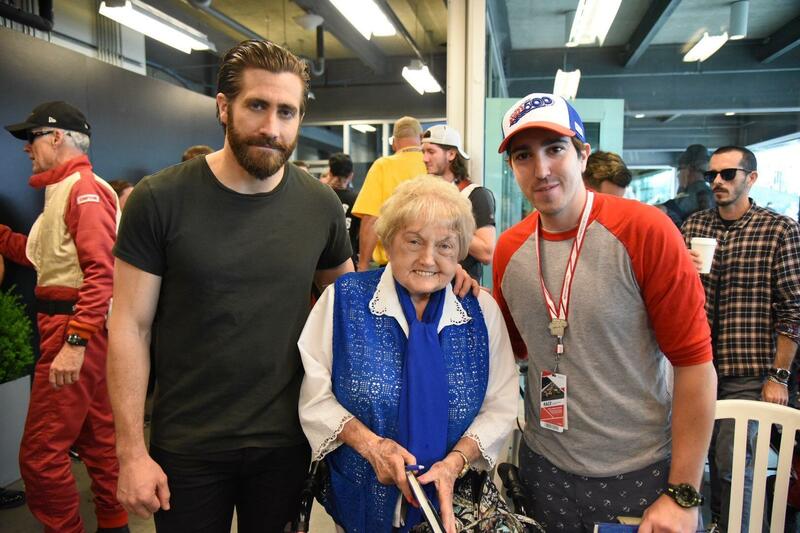 There she met actor Jake Gyllenhaal and shared a special moment with Motley Crue’s Nikki Sixx, which appears to be the start of a beautiful relationship. Only Eva.